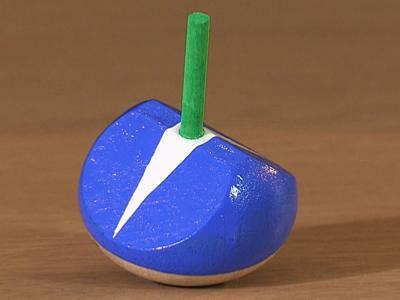 This wooden spinning top comes from Japan, and at first sight it is not clear what purpose is served by the two white triangles painted on the top surface. However when you spin the top, all is revealed. 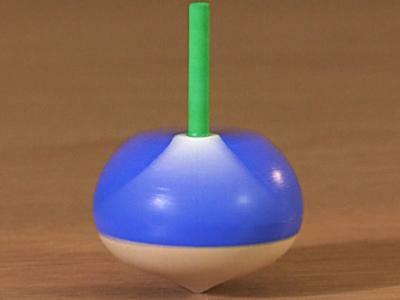 The spinning top resembles Japan's most famous mountain, Mount Fuji. The mountain has an exceptionally symmetrical cone, which is snow capped for much of the year, and the spinning top resembles Mount Fuji, viewed through a slight mist. Looks like a perfect Fuji from side on - just lovely.